Warnings to governments about the disappearance of tropical forests. The urgent need for fuel wood and charcoal in "the poor man's energy crisis." Industries can be scaled to the economies of developing countries, rather than just to economies of scale. Watershed management problems throughout the world need more attention, and the means to deal with them are at hand. 1. Indonesia was the generous host to the Eighth World Forestry Congress held in Djakarta from 16 to 28 October 1978. 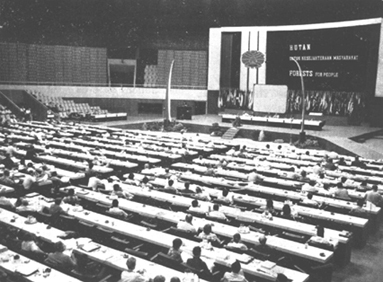 The Congress drew participants from 95 countries and 17 international organizations. 2. The Congress reaffirmed the formal declaration of the Seventh World Forestry Congress, which had as its theme "The forest and socio-economic development." The Eighth Congress, with the theme "Forests for People," examined in depth how forestry might best serve human beings, individually and collectively. In consequence, the Congress declared that the world's forests must be maintained, on a sustainable basis, for the use and enjoyment of all people. 3. The forest is a resource already under pressure from millions of people, striving to lift their standards of living. Since the last Congress, hundreds of millions more people are having to depend on an ever-decreasing area of forest. This situation places on governments and on their forest ad ministrations an even greater responsibility than ever before to arrest degradation and to manage every hectare of forest to best advantage and in the best interest of all people. The Congress recognized that this was a major challenge to the forestry profession, and to all those in any way concerned with forestry activities. 4. The Congress was not dismayed at this challenge. It recognized that the world's forests were still vast in extent, that they represented a renewable resource, that their biomass was by far the largest of all vegetation types, that the potential for sustained growth and production and for expansion was still immense. The Congress, however, and with a grave sense of urgency, stressed to all governments that time is running out and that unless effective measures are taken immediately forests will be unable to make the future contribution to mankind of which they could be capable. Furthermore, and because of the close and direct link between quality and quantity of water on the one hand and the extent and state of the forest resource on the other, the Congress recommended that every effort should be made in order to prevent water becoming so scarce as to affect biological production adversely. 5. Being acutely aware that the human population is still increasing by 70 million people every year, the Congress paid particular attention to the role which forests can play in improving the conditions for agricultural and livestock production, for instance through shelterbelts, regulation of waterflow, erosion control, as well as a source of supplementary animal fodder in dry periods. The Congress urged an ever greater effort to use forests for these indirect means of ensuring and increasing food production. Moreover, foresters should look beyond their forest reserves to areas where the planting of trees can be of major benefit to people and to agriculture other than for the direct harvesting of timber. 6. By reason of the gravity of world food shortages, indirect means are not enough. In many countries, an enlarged concept of multiple-use forestry is required, one which encompasses the more direct production of food from forests and forest trees, as well as from wild fauna. The Congress also called attention to the fact that in recent decades floods, droughts, and the spread of deserts have increased. This trend will continue unless proper land management, including reforestation, is undertaken by governments with urgency. The droughts and accelerated desertification in Asia, Africa, and Latin America - and the extremely destructive floods in Asia - have caused loss of lives and misery to millions. In recent years, however, there have been many examples of successful techniques in agroforestry which governments can use to halt these destructive trends. The Congress urged an increase in applied research in this field in order to enable governments to deal with such problems effectively. 7. As forests and forest trees are an essential element for maintaining the environmental stability necessary for the continuous production of food by rural communities, and to meet some of their most basic needs, the Congress affirmed that it should be the concern of all in the forestry profession that forestry make its full contribution to the development of rural communities, particularly of the rural poor of the developing world. A commitment to rural development on the part of foresters will be of no avail unless there is a firm commitment on the part of governments. Such commitment must include action to reduce inequalities in the countryside, notably in the distribution of land and in access to social and support services. It means encouraging self-reliance, mutual aid and cooperation. It means recognizing people as the motive force of development, not simply as the passive object of development. 8. Foresters must have the responsibility of managing forest lands and the natural resources existing thereon. Forestry administrations must have the rank, political backing, and effectiveness to discharge adequately such responsibilities to the best advantage of the people. 9. One of the most important changes since the previous Congress has been the energy crisis and its many implications for forestry and forest industries. The Congress was particularly concerned with the "poor man's energy crisis," the growing firewood shortage brought about by population pressure, dwindling forest, and the increased cost of alternative means of cooking and heating. This situation has reduced even further the already intolerably low living conditions of some 1500 million of the rural poor. Furthermore, the burning of plant residues and animal dung has seriously affected soil fertility and hence food production. The Congress urged all governments in countries with requirement for requirement and not well endowed with forest resources, to give the highest priority to its production in appropriate locations, with full participation of local people and suitably integrated with agriculture. 10. 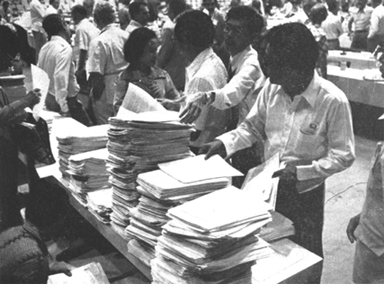 The Congress called for better utilization of the forest resource by seeking and practicing more efficient harvesting and processing techniques. International organizations as well as developed countries should spare no effort to help developing countries possessing substantial forest resources properly to inventory and manage them on a sustainable basis. 11. Increased oil prices had also had an effect on forest industries and the people directly dependent on them. Often energy costs can be reduced and energy can be saved by more efficient plant design and plant operation, and therefore the Congress urged all forest industries to take steps toward this end with the consideration of a greater use of wood residues, whether industrial or from the forests themselves. 12. The energy crisis has a further and potentially far - reaching implication for forestry - the possibility for forests to become an important source of high grade as well as low grade energy. Because of the interdependence of liquid and gaseous fuels and chemicals, forests offer an equally exciting opportunity for providing the synthetic organic materials so indispensable to modern society and which are now produced from fossil fuels. The Congress brought to the attention of governments and international technical and financing organizations this important new role which forests may be asked to play, urging the early intensification of the necessary programmes of research and development. 13. The introduction of forest management and protection has usually led to welcome increases in productivity of the land, both forest and farm land. But, unfortunately, this has often not been true of the world's tropical forests and more than half of the world's forests are in the tropics. Large areas of these forests, all located in developing countries, have suffered significant deterioration in quality and reduction in size. The greatly expanded rate of removals over recent years has concentrated on prime species, often for unprocessed export, and this selective exploitation has left a poorer quality forest, badly damaged. But even more important, and largely unrecognized, is the serious human and ecological problem of shifting cultivation in the tropics. It is responsible for large-scale degradation of both forests and crop lands. Therefore, the Congress emphasized the importance of restoring productivity to present deforested areas, also for the sake of the hunter-gatherer living entirely off the tropical rain forest. 14. Because of this situation, the Congress stressed the need for comprehensive forest land management, industries to be reorganized and new technologies to be adopted in order to use more effectively smaller logs and a wider range of species. It also urged developing countries to undertake further processing and to produce a wide range of products for both domestic consumption and export. The utilization of the forest resource must be aimed at enhancing the welfare particularly of the communities living or working in the forest and, more generally, of all the people of the country possessing such a resource. The implementation of this must be based on an adequate inventory and monitoring of changes in tropical forest cover. 15. The Congress urged that forest services should assume a leading role in evaluating proposals for the establishment of both small - and large-scale forest industries, according to the size of the market and the resource available, as well as the managerial and technical capability of the country. Whereas large-scale forest industries are necessarily capital intensive, forestry is generally labour intensive as often is smaller scale industry. Although mechanization of some activities may be desirable, the important role which forests can play in providing employment suggests that in some circumstances the labour intensive role of forestry should be deliberately preserved, at least in the short term. More modern and sophisticated technologies might be warranted in future if the utilization of the forest resource brings about real development. 16. The Congress strongly emphasized the important role which forest products other than timber play in the life of rural communities depending on the forests. These products play a vital role in providing employment opportunities and raising the living standard of rural people, increasing the number of people supported by forests. The Congress therefore recommended that forest services and international organizations should work for the conservation, promotion and rational utilization of such products. 17. The Congress urged governments to take appropriate corrective action, including changes to the social and economic structures wherever needed, with respect to unsatisfactory health, safety, status and remuneration conditions of forest workers. There was an urgent need for a more highly trained work force, and the Congress stressed that governments should devote more resources to the initial and continuing training of workers, technicians and professionals in both forestry and forest industries. 18. The Congress supported the view that forestry should offer equal employment opportunities to men and women, and that steps should be taken to increase the proportion of women employed. 19. Recognizing that forests have an important bearing on many aspects of the quality of life, the Congress stressed that foresters have a responsibility to give a positive lead in regard to environmental impacts and choices between different uses and different mixtures of uses. 20. Stressing also the important role of forests and trees for recreation and tourism, the Congress insisted that the cultural, social and economic needs of people actually living in and near the forests be always considered in using forests for recreation or promoting tourism, and that use should not lead to forest site deterioration. 21. Recognizing that it is important to mankind's future to preserve representative areas of all major forests as gene pools, scientific bench-marks, habitats for wildlife and as examples of man's cultural heritage, the Congress urged all governments to preserve, as part of normal balanced land use, adequate areas of every type of forest and give them full and permanent legal protection as national parks or other protected areas. Efforts should be intensified to search out species of potential benefit to mankind and to develop their use. 22. Research will play an essential role in achieving the goals of the Congress and the objectives stated herein. A sound scientific and technical foundation is required for the wise use of all forest resources. The Congress recommended that research should be encouraged and strengthened for the benefit of people of the world who depend on trees and forests for their economic and social well-being. 23. The Congress drew attention to the necessity for the increasing needs in scientific, technological and managerial information to be met efficiently. Existing forestry information and documentation services should be supported, and their further development encouraged. The activities of international, local and specialized information services should be coordinated. 24. The Congress noted with concern that, if present trends continue and potential demands materialize, there is the prospect of a serious gap between the world's needs for industrial and other wood products and the capacity of the world's forests to supply these and other essential goods and services. This gap can only be avoided if the shrinkage of the forest area is halted, if natural forests are properly managed, if harvesting is more complete and more efficient, if there is subsequent full and prudent use of all products harvested, if large areas of successful plantations are created and intensively managed, and, finally, if the return from forest utilization reaches the communities owning, living, or working in the forests. The Congress called on all foresters to re-affirm their total commitment to resource conservation, resource renewal and resource expansion. · the creation of jobs in rural areas. Marco Antonio Flores Rodas, of Honduras, is the new head of forestry of the FAO. He was appointed as Assistant Director-General on 18 September 1978 by Edouard Saouma, Director-General of the FAO. Dr. Flores Rodas succeeds Dr. K.F.S. King, of Guyana, who resigned to become Director-General of the International Council for Research in Agro-Forestry now being formed in Nairobi. The new head of the FAO's Forestry Department was born in Tegucigalpa, and is 44 years old. Before joing FAO he was the Forestry Manager, or Chief Forester, of the Honduran Corporation for Forestry Development, which he was also instrumental in founding in 1974. This state enterprise encompasses all phases of Honduras' forestry and wood industry, including the national forest service, logging operations, transport, various forest industries, marketing and domestic and foreign trade in primary forest products. As such it is unique among forestry state enterprises. 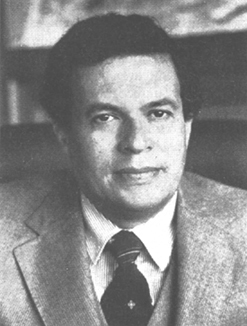 Before 1974 Dr. Flores' career was in various areas of tropical forestry management, logging, national and industrial development planning, and education. He was Forest Adviser to the Minister of Natural Resources of Honduras and consultant to governments and industry in the Dominican Republic, Costa Rica, Nicaragua and Guatemala. He served as Director of Forestry at the University of Honduras, Director of the National Forestry School of Honduras and instructor in forest resources at the University of Washington in Seattle. Following studies in agronomy at the Pan American School of Agriculture, Tegucigalpa, Dr. Flores received Bachelor of Science and Master of Science degrees from the University of Florida and a Doctorate at the University of Washington, all in forestry, in the field of forest management, forest mensuration and applied statistics.